Dr. Minal Mehta is a board certified physician who specializes in the fields of obstetrics and gynecology. The doctor and her staff serve the residents of Fountain Valley, California and many nearby communities, including Huntington Beach, Costa Mesa, Newport Beach, Westminster, Santa Ana, and Anaheim. She has over 18 years of experience serving the community as licensed OB/GYN. At her office, the doctor uses state of the art diagnostic tools and treatment options to provide her patients with the best medical care possible. She performs deliveries at Hoag Hospital, Orange Coast Memorial and Fountain Valley Regional. 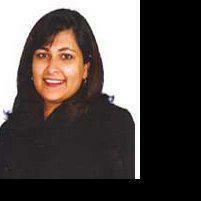 Dr. Mehta received her medical degree in 1998 when she graduated from Chicago Medical School. At that time, she turned her interest toward her chosen area of practice. She specializes in treating OB/GYN patients who are high risk as well as those who have problems with fertility and conception. The da Vinci® Surgical System Robotic assisted, minimally invasive surgery.